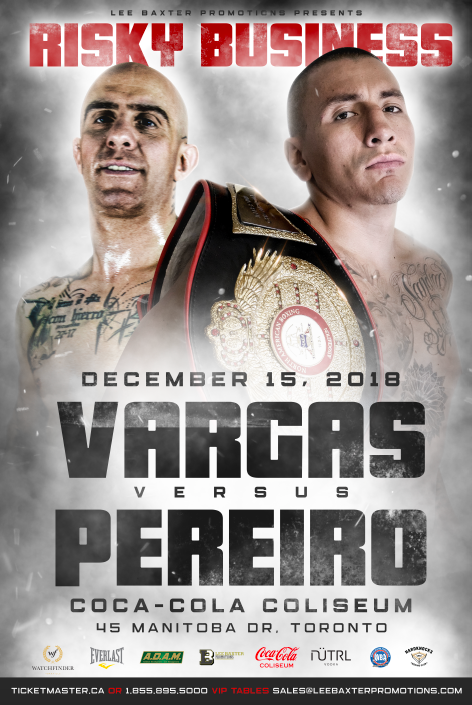 Two-time world title challenger Dierry Jean has been added to the already stacked card on December 15 in Toronto, ON, presented by Lee Baxter Promotions. Jean signed with Baxter earlier this year, and picked up his first win on the comeback trail, stopping Abraham Gomez in six rounds on September 29. It was an emotional moment for Jean, who had finally gotten his promising career back on track. But Jean is past gunning for sentimental victories now. On December 15 he will bump it up to an eight rounder against an opponent to be named shortly, with an eye towards returning in front of his home Montreal crowd in the near future—and contending for a world title once again. The 36-year-old has shared the ring with the best in the world, fighting for the world championship against Terence Crawford and Lamont Peterson in addition to serving as long-time training partner to future Hall of Famer Manny Pacquiao. “Dierry is one of the very best Canadian boxers of this era. He was fighting on HBO and Showtime during a time when fighters in this country weren’t getting any television exposure whatsoever,” said Baxter. Jean will be fighting in the Coca-Cola Coliseum in the heart of Toronto, a venue which has hosted two world title fights in the past—Adonis Stevenson vs. Tommy Karpency, and Stevenson vs. Badou Jack, a card co-promoted by Lee Baxter Promotions. “We’ve held a world title fight before, but now we want to do it with our very own fighters. We have a collection of talent that’s knocking on the door of title contention, and Dierry is as close or closer than anyone to getting that opportunity. This time, he won’t let it go to waste,” said Baxter.